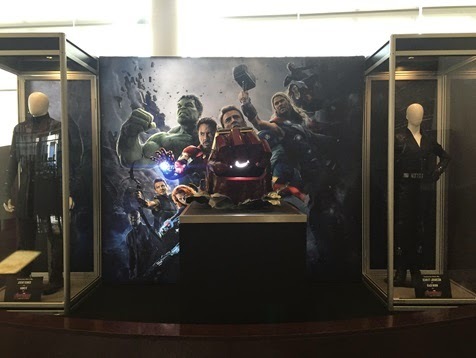 Arclight Hollywood and Sherman Oaks has props and clothes from the film. They also have drink specials named after the Avengers to try. You might be able to snag tickets to a double feature with the film playing with Avengers 1. The El Capitan will have it's own exhibit showing of props from the film.